I was interested to read about research published in the BMJ Open (February 2019) which supports (albeit cautiously) the use of acupuncture in the treatment of menopausal symptoms. This Danish study found that five weeks of acupuncture in women with menopausal symptoms reduced hot flushes, night sweats, sleep disturbances and emotional problems. The physiological changes of menopause can have a profound effect but not just physically. For many women this important transition coincides with big life changes requiring considerable psychological adaptations to changing roles and self image. And of course menopause does not begin when your periods stop. 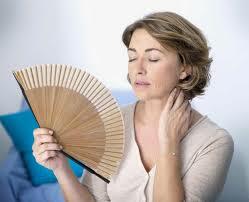 The menopausal transition (perimenopause) often begins years before you stop having periods. Although HRT is now recognised in the medical community as a safe and effective therapy, there is a significant number of women for whom it is not suitable (women with certain types of cancer, those with a history of blood clots or untreated high blood pressure), and those who simply seek a natural alternative. Traditional Chinese Medicine (TCM) has form when it comes to treating gynaecological conditions – the earliest records of medical writings on the subject date back to 1500-1000 BC. Using this tried and tested approach in my clinical practice, I have seen many women experience relief of common symptoms like menstrual irregularities, hot flushes, night sweats, fatigue, mood swings and insomnia, decreased libido and vaginal dryness. In TCM, good health depends upon two things; an unobstructed flow through the body of energy, or qi, along twelve major channels, and a balance between the two life forces – the cool, passive yin and warm, active yang. Illness or pain occurs when the flow of qi is blocked or when one life force dominates the other. TCM recognises the menopause as a natural occurrence which is thought to come about due to a decline in yin affecting body’s ability to cool, calm and moisten. Diminishing yin leads to a rise in yang-type symptoms including night sweats, hot flushes, anxiety, insomnia and generally feeling out of balance. With acupuncture we look to cool and calm the body by nourishing yin thereby helping ease symptoms and restore balance to the endocrine system – the system responsible for the production and secretion of hormones. Acupuncture also has a regulating effect on the body’s nervous system and according to the acupuncture-endorphin theory, can increase the body’s production of its own natural painkillers, known as endorphins. Not only do endorphins reduce our perception of pain and discomfort, they generally make us feel better. For those women seeking an alternative to HRT, acupuncture can be a powerful tool for reducing many of these uncomfortable symptoms in a safe and effective manner.